Express the uniqueness of marketing services and the characteristics that set them apart. Identify and define strategies for marketing services, including differentiation, quality and productivity. When an airline has a young fleet, experienced pilots, attentive cabin crew and the pickiest ground technicians in the world, it is free to concentrate on what is really important: you. So runs a Lufthansa Airline ad. A DECADE AGO, THIS GERMAN airline company could never make such claims to offering the customer its undivided attention and care. Today, it is taking great pride in its newly earned reputation - not just for quality, but also for being a 'good listener'. It has learnt that superior-quality service pays off and, most importantly, that doing what the customer wants is the key to customer retention. Lufthansa takes the pursuit of customer sa tisfaction seriously: this Business Class Survey ad thanks die 200,000 business travellers who responded to their survey for their role in Helping the airline "further improve its service. Europe's largest Business Class Survey was a great success. © Lufthansa is not so much the survey results that are noteworthy, but Lufthansa's response to what business customers want. Top of the list of wants for a better flight for business customers was more leg-room and elbow-room, followed in third and fourth places by designated lounges and non-smoking aircraft. Separate check-ins and passport control were the top two most important convenience factors stressed by the business customers surveyed. Lufthansa took note and carried out tests on wider seating arrangements for business-class passengers on selected German domestic and European routes. Responses were very positive. It redesigned - a unique response where the airline world is concerned - business-class seats to make them wider. Previously a heavy demand on business class meant an overspill into economy class. Redesign means, however, that any overspill into economy class is now met by telescoping seats on one side of the aisle and extending them on the other to make the scats wider. The new seats are 48 em wide on the left of the aisle. In economy class, the centre seat of the three can be removed by telescoping it into two. On the right of the aisle, the usual three seats can be extended into wider ones. The centre seat is 50 cm wide. The new seats are installed in Lufthansa's Boeing 737, Airbus A320 and A321 jets. Wide-body Airbus A300 and A310 aircraft are also equipped with modified versions. Finding out what target customers require or desire is one thing. Responding to these demands and to the satisfaction of customers is another. Lufthansa ran an ad campaign to thank respondents. But as the story above shows, a customer focus can benefit service businesses. To improve service quality, the firm must listen to what customers want and then commit resources to deliver precisely that. 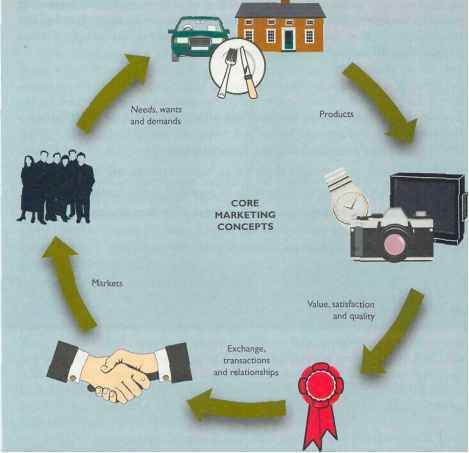 Marketing developed initially for selling physical products, such as toothpaste, cars, steel and equipment. However, marketing principles can also be applied to organizations that offer services, such as Lufthansa. 1. For a traveller flying with Lufthansa, what exactly constitutes the 'service offering'? 2. Identify the tangible and intangible aspects of the service. 3. What are the main aspects of the service that distinguish it from physical products? 4. What criteria might customers consider when selecting an airline for business travel? 5. For physical products, the buyer can touch, see or feel and compare alternative offers before deciding which brand to purchase. Taking into account the relative intangibility of airline services, how might an airline customer determine the choice of carrier? 6. How would the marketing of a service offering differ from that of physical products? Identify the main ways in which the service provider would adapt its marketing strategies to create a competitive advantage. Looking to succeed in network marketing? Discover The Proven Steps To Get Started And Succeed In Network Marketing And Build A Big Team. 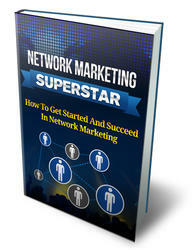 Find Out The Steps And Actions You Need To Take To Become A Network Marketing Superstar. What exactly constitutes the service offering of lufthansa?